My son Tommy has autism. He's a teenager. I've noticed that he's different from a lot of other kids his age, but there are also plenty of similarities as well. 1. All teenagers have a smell about them. Whether it's BO or too much cologne, some sort of scent is usually wafting from their bodies. 2. I don't have to worry about my son sneaking out at night. He's really big on rules. If I told him to be in by 10, he'll be back by 10. 4. He won't risk smoking. Or getting drunk. He cannot believe anyone would do these things. "Don't they know their lungs will turn black? Why would anyone want to get drunk and stupid?" He's just as appalled over people doing drugs. 5. He spends hours on video games like many teenagers. When he emerges from his room, we sometimes start clapping. "You exist!" I'll sometimes shout. 6. He might not be driving when he's 16. He tends to panic and shut down when he gets overwhelmed so he might need more time to cope with these feelings before he gets behind the wheel. 7. I'm not sure when he'll have a girlfriend. He still struggles with understanding different emotions. He misses social cues. If a girl that liked him was sarcastic, he wouldn't get it. I have faith that there is a girl out there for him though. 8. He's not interested in sports. He never has been. He tried track in fifth grade and wasn't a fan. He's not exactly coordinated. He tries hard, but playing catch with him is tricky as he can't really catch the ball or throw it. He'll try to be polite if Tom or another man in the family offers, but you can tell he's not really enjoying himself. Football has always bored him. "This looks dumb," he once told me when he saw a game on TV. 10. He doesn't walk around with earbuds in his ears all the time. He cannot stand things in his ears and he doesn't care to listen to music at all hours of the day. 11. He eats like most teenagers. He never seems to be full. I once watched as he ate a footlong sub from Subway in five minutes. And he was still hungry. However, his diet isn't like a lot of teenagers: he doesn't like soda. It's too "spicy" for him. He doesn't like chewy candy. He freaks if you put cheese on his burger. He'd live on rolls if I allowed it. 12. He hates wearing shorts. He's noticed that a lot of boys his age wear shorts--even if it's freezing. He doesn't comprehend this. If it's below 72 degrees he must be in a long-sleeved shirt. If it's above 72 degrees, he'll wear a short-sleeve shirt and sometimes I can get him in shorts, but he's not a fan. He also hates wearing flip flops. Even if we're going to the pool, he prefers to be in socks and shoes. When we go to the beach I can get him in flip flops but only because he can't stand the sand stuck in the socks. Honestly, I'm happy he might not ever be like the "typical" teenager. He is who he is. Aw what a sweet boy. Having a rule follower has it's perks! The smell thing. I wonder if that's for boys and girls? I guess we'll find out one day! And I don't like soda either. It hurts my throat. I have some sensory stuff myself, or I did as a kid. There is certainly a girl (or more than one) out there for this kid. He sounds a lot like my son. Be very glad about the not ready to drive thing. Teaching teens to drive is not an experience you are ever, ever, ready for. He'll find a girl that strikes his fancy when he's ready. She'll just have to like him for exactly who he is. My middle son calls soda "spicy" too. He doesn't like any of it. The teen years--- I'm scared that we're almost there! He's pretty dang awesome! My boy won't be a typical teen either, but I am ok with that. I was just talking to a mom this morning with a son who is on the spectrum and she's having issues with the school keeping to his IEP. I could tell she needed someone to talk to this morning and I was there to hear her out, she told me about her concerns, she's a bit fearful of junior high and other kids. Tommy is in junior high (right?) and he seems to be doing AWESOME. My husband has Aspergers. He doesn't get sarcasm, or hints, for that matter. I've had to learn that I can't just drop a hint and expect him to pick up on it. If I wanted roses for Valentine's Day, for example, I'd have to say "Dear, you need to buy me a dozen roses for Valentine's Day." If you raise a decent young man, someone out there will love his honesty and other good traits. He's awesome and smart too!! He needs to tell all other teenagers to not get drunk and do stupid things!! And school dances are over-rated.. I just remember them being all drama and not really that much fun. I dated a guy over the summer whose son is Autistic. He liked and disliked the same things as your son. I am with Tommy on the smoking and dances. I have never smoked. I was a swimmer in high school and valued my lungs. He sounds like a pretty cool kid. I really enjoyed reading this. I can't believe how much he's seemed to grow as I've read your blog! My girls think soda is too spicy too. Yep, sounds like a typical teenager to me! My 16 year old nephew has autism, and he and Tommy have a lot in common. Except the shorts - my nephew wears shorts almost every day - and it's cold here! He sounds like a cool cat to me! Great post! I've noticed with my own teenager, that I spent her elementary years praying she would fit in, but now I'm high school I'm thankful that she doesn't fit in so much! Sounds like you've done a fantastic job raising him. I love this! Drew is only 9 but he told me that he won't have to be reminded to wear deodorant when the time comes...lol He also is very against smoking. He sounds like a great teenager. loved this! he sounds like a great kid. and sports are totally dumb, hehe. Your Tommy sounds like a wonderful kid! 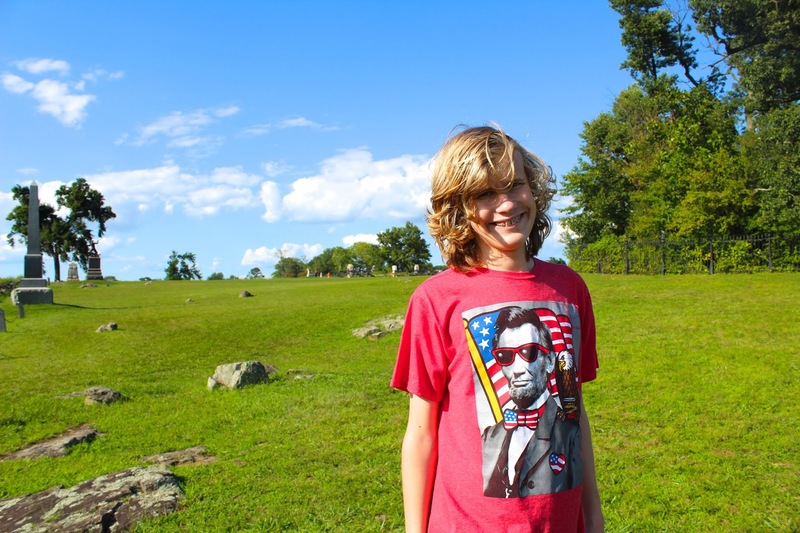 I have a 16-year-old with Asperger's, and he shares a lot of the characteristics you mentioned. Truth be told, my special needs 16-year-old is a LOT easier to deal with than my typical 15-year-old...so there's that, LOL! But all kids are great if we appreciate them for who they are! What a sweet boy and you sound like you are a great mom for Tommy. Great post showing how awesome he is! As someone who has tourettes and is addicted to videogames growing up, i can tell you that he will develop into his own amazing self. Everyone is unique and amazing in their own way. I say the same thing about my son when he emerges from his room. A couple of years ago he would play video games once in a blue moon. Now it's like where's my baby boy. We all have similarities and differences and the great thing is..that's okay! It's perfectly fine that we all have our own little idiosyncrasies. Tommy is a great kid, he is perfect version of himself! As soon as I started reading, I got "Smells Like Teen Spirit" in my head. He sounds like an awesome kid! I also hate sports and can eat a footlong sandwich in less than five minutes! from the points that i have read, it seems to me that you have a nice boy. spends most of his time playing video games that is good. he can be infront your eyes most of the time. Whoa! He is indeed Tommy. He seems He is a very nice kid. Do keep taking care of him. All teens are similar in some ways no matter who they are or their skin colors. He sounds like a great kid. My oldest is 12 and just starting to show some of those teen traits. This is so sweet! It's great that you know exactly who he is. I was once a nanny for a 12-year-old with autism, and it's not easy, but I learned a lot! It's interesting how the things society sees as "wrong" with our kids are often the things that make them so uniquely loveable. My younger daughter has her own little plethora of things, many of which are sometimes bothersome or inconvenient ... But I love who she is nonetheless. Oh man, I love his T-shirt, hahaha. What are your thoughts on social skills classes? Do they offer that at his school? I'm curious to know what you think about social skills groups! Even as a teacher, I feel conflicted. Sometimes I feel they should learn the "norms" and other times I feel frustrated that we're taking what's so wonderfully unique about our kids and trying to mold them. I wish all teenagers were like Tommy, a rule abiding citizen. Sometimes his being an innocent child like will set him free from suffering on one or more teenage problems. He sounds like the best teenager. I wish all kids were like him. 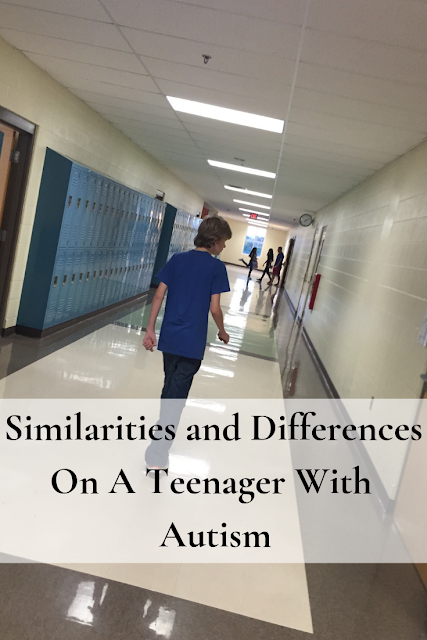 Autism or no, all people and teens are different. Aside from the social aspects, he seems pretty well adjusted and happy with his routine. It's so awesome that you share this with your readers. He sounds like such a great kid and seems happy. That's awesome! I really appreciate your posts about your son because it allows me to understand how they view the world. He sounds pretty amazing! Well-behaved and very obedient! Not like my kids who are all over the place. He is an adorable young man, and yes I also think only babies can wear shorts, haha.. I like to see teenagers knows the proper decorum. I think your son is one awesome teenager. I like everything you wrote about him. God bless him! Your son is adorable, looks like a one happy guy. You are a wonderful parents, and I salute you who everything that you do. I think parents with Autism kids are wonderful because of how they raise their kids despite how they are. They still show what a parents really is. You did a fantastic job raising your child. Your son sounds like a good and thoughtful teenager! It's good that drinking and smoking don't appeal to him at all. I hope that's the case with my children when I have kids. I am currently volunteering at a children's charity that supports kids with autism and I do see quite a few kids with autism. Some ranges from high functioning and others low to moderate functioning, but they are all different. From your story I have definitely learned a lot and I hope to learn even more as I also have a five year old girl with autism. he i s a good looking guy! your son looks like a nice teenager! remember, he's adorable! Tommy sounds a lot like my James in a few years and we can definitely relate to many of these similarities and differences! Although not always easy, I love that my son's autism helps us to view the world through a unique perspective. He sounds like a really great kid. When I read that first one I busted out laughing. The kids I babysit def have a certain stench about them....I have to literally crack the window when I pick them up from school. I love this!!! He sounds exactly like my cousins son, he is an amazing kiddo! your son is really amazing! i remember my cousin with same age as him, they're good at school! Thanks from sharing your story and your son. My teen hates being on my blog so that's one difference. I'm glad you're focusing on the unique aspect of your son. I'm sure he is an amazing boy. My daughter was never diagnosed with Autism they diagnosed her with ADD but she has many of these characteristics. I will say that she is now 20 and I had many feelings you shared about wondering if she would drive, ever have a boyfriend, etc. She is still at home but she has found a guy that is perfect for her and has plans to eventually get married an move out when she has finished her school. She can drive now, I still worry but she is able to. So even though I think I will always worry about her way more then I do my other girls I have found some piece of mind knowing that there is hope for the future. She was much slower getting there then our other daughters but she is getting there. I just remind myself that just because she does it on her own time doesn't mean she won't eventually meet the same milestones. Your son sounds pretty awesome. I have a cousin who also has autism, but his condition is a bit more advanced. He's awesome too! He sounds like a good growing up teen. Having a follower of rules has its perks. A great post to show, to accept Tommy as who he is. A teen that likes and abide by rules! Send him my way! I love him already. 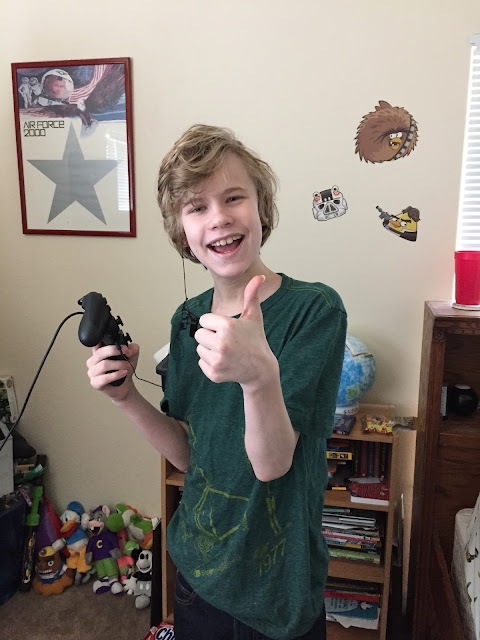 My son has a few of those same stuffies in his room and enjoys games just as much. And yup, he's a teen too. I'm just happy to see another teen boy who still keeps his stuffies. I don't want mine to ever get rid of his. Very handsome young man. Sounds like he has a good head on his shoulders. Best to you and your family. I'm glad you wrote about your son. I wasn't sure about autism but I've learned alot. Sounds like you have a wonderful kid with a fantastic way of thinking...and they all do have a smell, don't they. My son works with autism kids. All these kids are bright, they just learn different. Some don't like loud noise, some bright lights, change is difficult for others. Mood swings happen more but what kids or adult for that matter have mood swings. Regardless, I think he's an amazing human being and he's very lucky to have a mother like you who is so supportive and understanding of him, just as you are lucky to have him. It was nice reading this post. I love that you included pictures of Tommy and his reactions! 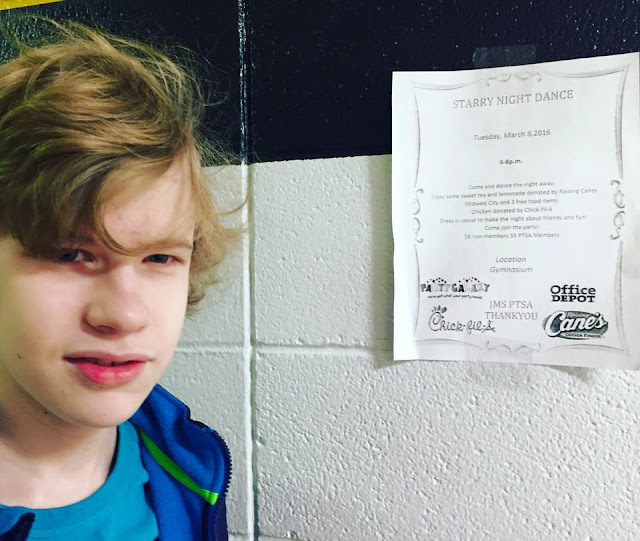 His expression in reaction to your asking if he was going to the dance was priceless. Number 11 is a phenomenon we experienced as well. I just don't understand how teens are able to eat so much! He sounds pretty awesome. We're not in the teen years yet (although, some days I feel like I'm raising a mouthy 18 year old). I'm convinced all boys smell and they just don't care. It doesn't matter the age. He sounds like a sensible kid. I think it gives him the ability to reason out a lot of things other teenagers would just do to be cool, they would forget they have a brain. I too don't understand why kids can't put the appropriate clothes on for the appropriate season! I have a child with Down syndrome. In the 18 years he's been alive I have learned that all children are more alike than different and people need to stop the comparing and just accept. My son didn't drive when he was sixteen. He was more like 18 I think. My daughter, on the other hand, wanted to drive as soon as possible. Sounds like your son is doing wonderful and very smart! I like number 4, as a parent I am worried that my kids will get involved in drugs or smoking. Wonderful young man! Autism is a strange condition that completely alters the lives of people who are confronted with it. I hope in the near future to find an answer to this mystery! Tommy is a great guy. I love the fact that he has all the qualities of a teenager but does not have the undesirable ones. He is really remarkable. It sounds like he is a pretty awesome teen and like he is doing the best with all the issues Autism is throwing at him. Tommy sound so cool! But, I totally agree that teens never stop eating. Mine never seem to be full! They get seconds and thirds! I think it is the high metabolism. Thanks for sharing some insights into your son's life. It can be hard for us to understand other people's differences when we aren't living a day in their shoes. Our family has to deal with a lot of misunderstanding about my daughter's severe food allergy so I try to be sensitive to other family's situations as well. As you said "he is who he is" and that is a good way to sum things up. Glad he's a happy teen staying out of trouble! Teenage boys are always something else. Mine is currently going through the smell phase, too! He is such a nice boy. I never liked wearing shorts when i was his age too. Some just don't like it! It's interesting to see your son's similarities and differences. I teach and one of my students cannot stand if things are crooked. He will stop class and ask over and over until I fix it. I have learned to fix it right away for him so he doesn't start shaking and getting upset. I think your comment at the end is absolutely perfect. He is who he is. No need for him to be anything else. And that's perfect. I really had a good time reading your post. I have three kids, a daughter and two sons. I find it funny when my daughter would hand her brothers a stick of deodorant and shoo them away. Haha. They're better now. No more of that sweaty smell. Now they use cologne like its water! I loved reading this post. He's like the model child in most ways but he has his quirks...just like any other teen boy. It is so funny how much boys love their video games. I might have to start clapping too! Too funny. It sounds like you're raising a strong, smart, and healthy boy. Keep enforcing his beliefs on smoking and drugs-I can vouch for the fact that I never picked up a habit for either. I mean, I drink now-but not to excess (not that I haven't a few times in my early twenties, but still) and I never picked up a taste for drugs or smoking. Nor a desire to. I think it was because my parents were so adamant about how bad they were, and they openly talked to me about them. I love reading your post. Seems like he is really growing into a very responsible young man especially when it comes to following rules and taking on with the consequence of smoking. I know some parents who also have kids with autism. I see how loving and caring they are to their kids, just like you do. And I admire you for this. Thanks for sharing this insight. Now, this is worth sharing. I have an autistic brother and he is 30 years old now. Your son reminds me of my brother, my brother is sensitive to sounds, he played video games all day everyday (that was really his super skill as a teen), and he doesnt and will never learn to drive and thats ok.
My autistic niece is big on rules too. She is sensitive to touch and sound for sure. Sounds like a pretty typical teenage boy to me. Clapping when he emerges from his room. I remember those days. Your son sounds like an awesome guy. Your comment about the smell did make me giggle! My boys are in elementary school and they already have super stinky feet, so teenage years should be super fun! Your son doesn't like a wonderful kid. My niece is also autistic. She did finally learn how to drive but she is very much a rule follower on that also. He will get where he gets in his own time. It sounds like you love him dearly and that is all he needs. He is an awesome teenager my son also hates wearing shorts and says that he will be freezing. He sounds like a pretty awesome teenager that knows so much more than his peers. He is going to grow up to be very responsible, even if he has autism. Your son looks like a great guy to me. I'm a teacher, so I had a chance to work with autistic teenagers, that's true that they are different and everyone needs to be approached individually. I love #11! I think everybody should actually do this especially when walking down the streets, lol! by the way both your kids are just adorable! I understand. My husband is a youth pastor. We have a couple kids in our youth group that have different types of autism. I also have a cousin who is now an adult with autism. He sounds like a pretty awesome teenager. He's going to grow up to be such an amazing man. Your son sounds absolutely amazing. I know you must be proud of him. I only know one teen with autism and he is about the same as your son. He would not understand sarcasm at all and he would never break the rules. Amazing amazing post. I've always been curious to find out what the differences are but was often too shy to ask considering how sensitive this topic might be for some. Thank you so much. I love that photo of him playing video games. What Joy!!! I have a rule follower too. It used to make her so mad when I would say be home by 10 because she knew she'd be home by 10 even if she didn't want to! I'm glad you have come to terms with your son's autism. He sounds like a wonderful boy. I feel like he's pretty much like any other teenage boy except he actually follows the rules! I love your autism posts! Tommy sounds like an awesome kid! My oldest has some of the same tendencies, but was categorized as "maybe Aspberger's" at one point. Although she had her permit, she decided driving wasn't really for her. Now she's married and lives in Seattle. Neither my daughter or her wife drive, but it isn't an issue for them. He has all the good qualities .Although he follows rules, he follows it rightly so its nice. Other kids should learn from him how to take care of themselves . I really love how you've brought him up that he embraces rules so well. You understand him so good I'm amazed since this is not usually the case with parents over here. Such love! Cheers mom! I think all teens are similar. They all love videogames and spend a lot of time there! It's interesting to know these things. I like that he follow rules, he is awesome! There are so many perks and strengths that your son has. I am wondering what the future will look like for my kids. He sounds like an amazing kid. He truly has a bright and amazing future ahead of him. Great post! Always important to bring awareness to autism. I love his t-shirt! He sounds pretty similar to my boy too :) I wish mine followed the rules like yours though, hahaha. I love this, especially all the similarities - especially the BO one, made me laugh! He really does seem like a great kid. And he might have some things the same, and some things different. I think I would be ok with the things like keeping rules. He is great kid , he may do something differently than others, it is okay. I think he does what he likes that is important.